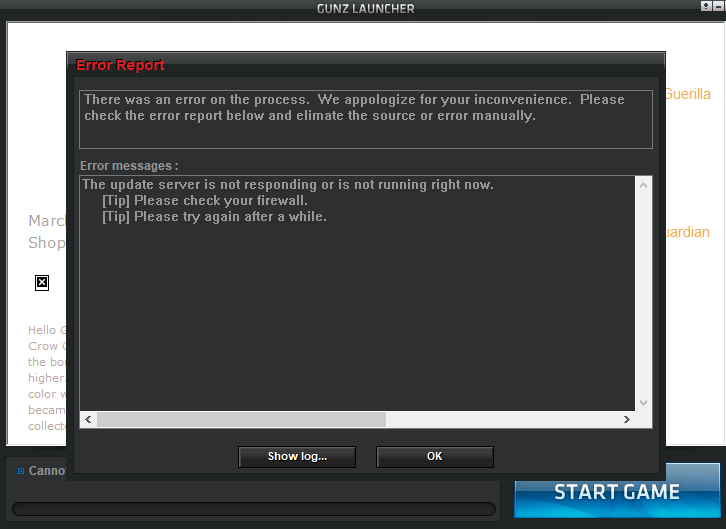 For 2 days I can not enter the game, the launcher shows me this message. I just added it to the firewall exceptions, but it's still the same. show me your mlog located on your M2O Gunz the last duel folder. Monk wrote: show me your mlog located on your M2O Gunz the last duel folder. Windows = 6.1 Build 7601 , Service Pack 1 (4194303KB) : ..
7765 upnp port forward initialized.